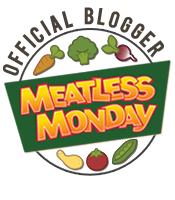 Food and Fitness 3/9/15 | (m)EAT LESS, RUN MORE! Today’s workout (Week 5 Day 1 of marathon training) was a 3.5 mile easy/recovery run. I also did the usual before and after work walks with Lucy, which was another mile. And it was grocery shopping day. All stocked up on my normal, healthy stuff with only one snack – baked pretzel thins. I admit it was an impulse grab, but I did check the nutrition label before throwing them in the cart. 110 calories for 16 pretzels and less than 1g fat. They’ll be good for finishing off the last of the hummus. 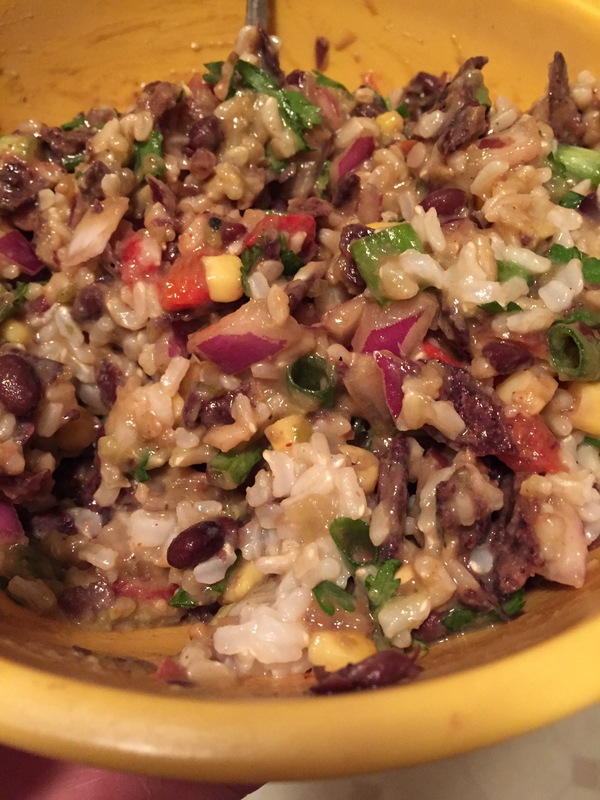 For dinner tonight I made (a modified version of) THIS RECIPE – the Black Beans and Brown Rice Extravaganza, from the Engine 2 Diet. I left out the water chestnuts and avocado, but did add guacamole after it was all portioned out. 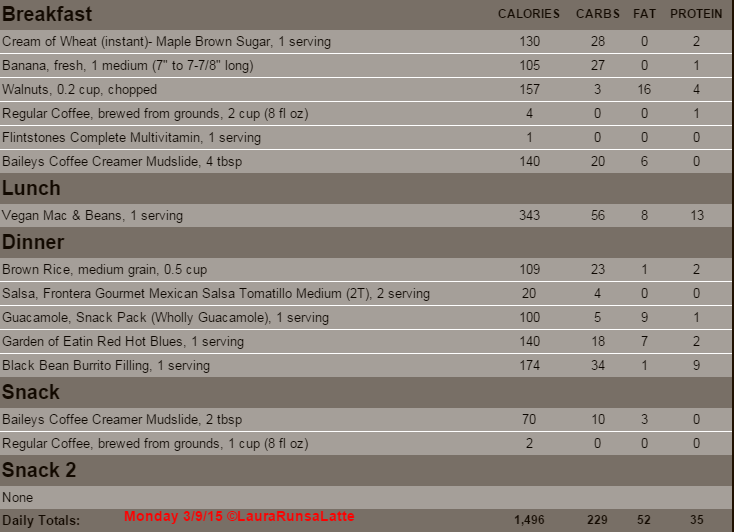 I use the 100-calorie packs of Wholly Guacamole. LOVE that stuff! And the little portioned cups keep me from over-indulging. 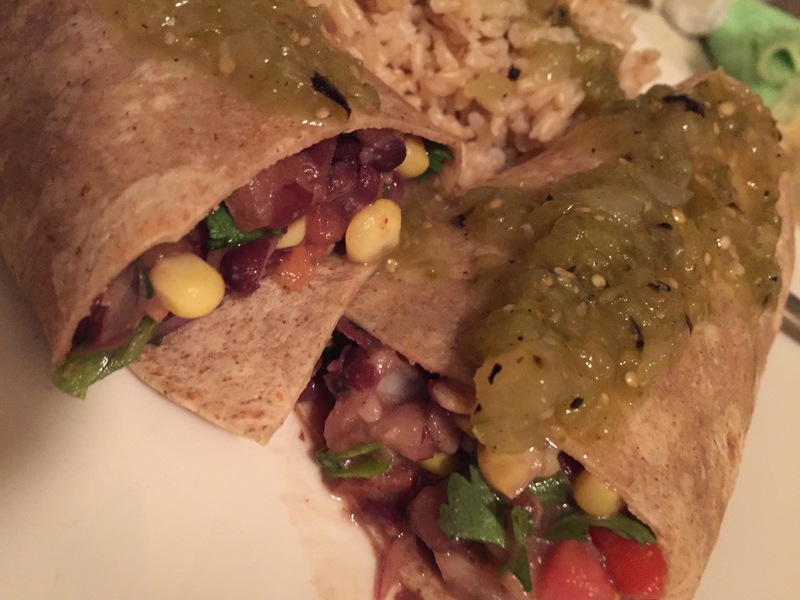 Hubby’s plate – wrapped in a whole wheat burrito. And mine – I opted for Red Hot Blues instead of a burrito, and mixed it all together in a bowl. Hard to believe those are the same meal, eh? Lol! The Fabletics stuff is okay and sometimes you can get a pretty good deal. But to be honest, I don’t think I’d do it again if given the choice. You have to remember to log in by the 5th of each month to either order or skip the month, and the only way to cancel all together is to call.